Two hundred years ago, Mary Shelley’s trailblazing Frankenstein was published, a book that broke boundaries for intersecting science, psychology, and horror. Just 18 when she started writing the story, and 20 upon completion, Shelley was a young adult herself when she imagined the outcast, lonely creature—a YA trope in and of itself. 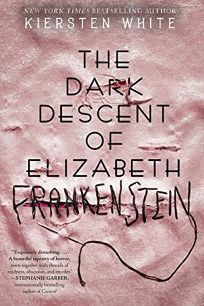 Since then, Frankenstein’s monster has crossed over to appeal to children and adults of all ages, and the literature inspired by this novel continues to excite readers young and old. In this roundup, we gather a selection of books for young readers being published in this bicentennial year of the novel. By Lita Judge (Jan. 30, Roaring Brook, $21.99, ISBN 978-1-62672-500-3). This richly illustrated YA biography of Shelley doesn’t shy away from some of the darker themes of the author’s life. The book is written in free verse and features black-and-white watercolors. Two hundred years ago, Mary Shelley’s trailblazing Frankenstein was published, a book that broke boundaries for intersecting science, psychology, and horror. Just 18 when she started writing the story, and 20 upon completion, Shelley was a young adult herself when she imagined the outcast, lonely creature—a YA trope in and of itself. Since then, Frankenstein’s monster has crossed over to appeal to children and adults of all ages, and the literature inspired by this novel continues to inspire and excite readers young and old. In this roundup, we gather a selection of books for young readers being published in this bicentennial year of the novel. 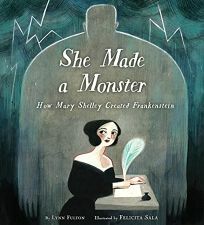 This biographical look at Frankenstein explores the life of the writer and how it came to bear on the book, while also elucidating Shelley’s writing process. By Catherine Reef (Sept. 18, HHM/Clarion, $21.99, ISBN 978-1-328-74005-2). In this nonfiction book by the author Victoria, Shelley’s life is explored with plenty of research and illustrations from the author’s life and times. 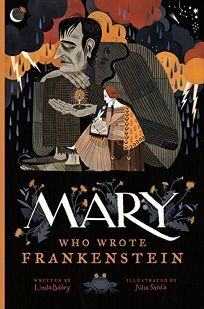 In this atmospheric picture book, the story of how Shelley came to write Frankenstein is told, demonstrating her author’s imagination and persistence. YA author Kiersten White (the And I Darken trilogy) reimagines Shelley’s story in this psychological horror novel, following a teen who uncovers a dark secret in the heart of German Bavaria. By Leslie Kimmelman, illus. by Timothy Banks (Nov. 1, Carolrhoda, $17.99, ISBN 978-1-5124-3129-2). 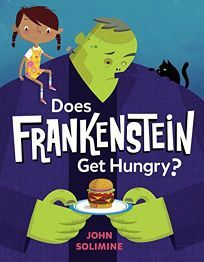 In this picture book, an outcast Frankenstein seeks a friend for a Valentine’s Day party—which proves difficult given how out of place he seems in the holiday—until he meets another monster.